Have a question about your pet??? We're here to help! Check back for helpful tips and hints. My Dog HATES The Shower!! Help!!! Q: My dog is terrified of the bathtub and shower. How can I get her to be more comfortable in the tub while I bathe her? A: If you think like a dog, the shower is a pretty scary place. Small, confined, SLIPPERY, there is an echo, a scary wand from the sky that sprays jets of water at you, your mom or dad is leaning over you, trying to force you in there while smearing stuff all over you that makes you smell terrible... No wonder they worry about the tub! What can you do to help with anxiety? 1) Get a bath mat. Take one of the scariest elements of the tub away- the slippery surface. Let them feel secure with footing while they are in there. 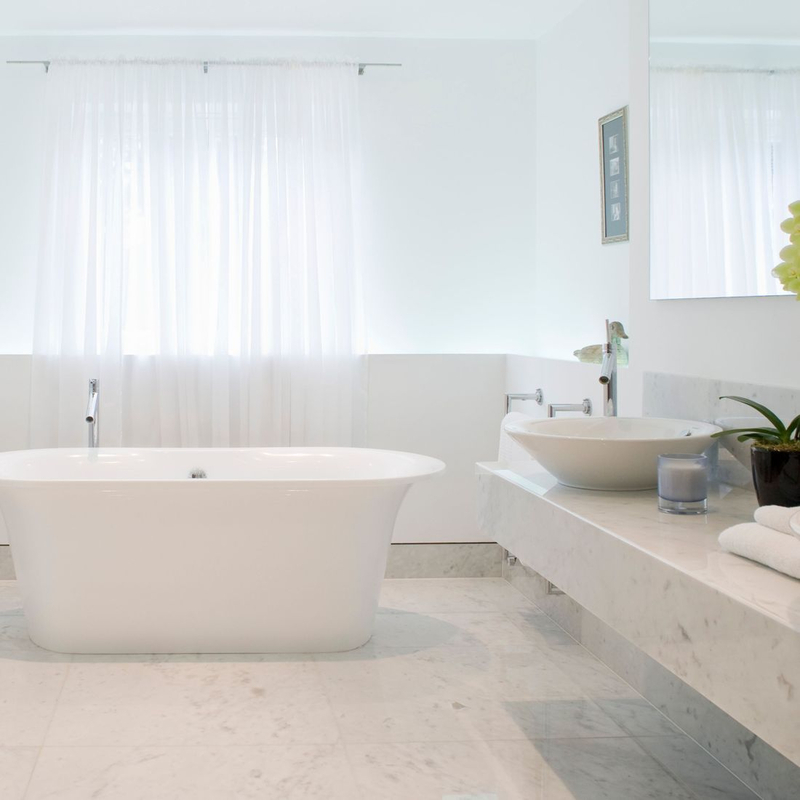 2) Make the tub into a place that isn't such a big deal. Start as soon as you get your dog, or today! Put your dog into the tub, let them relax for a minute. Give them a treat, and let them calmly jump out when you given them an "OK" command. They don't need a bath every time they get in there. Make it into a game, make it fun and use a lot of repetition! 3) Once getting in and out is no big deal, teach your dog how to just stand or sit in the tub. Reward with a treat, then start to progressively increase what happens before they get the reward. turn on the water- reward. Let the water run- Reward. Turn on the shower wand or fill your cup- reward. Work up to the bath. Will You Please Just Take My Dog and Train It?? Q: Why do you not usually take dogs in for training without the owners present? First and foremost- the owner needs to learn how to live with, work with and train their own dog! We can't be there once we hand the leash back to the owner, and if they don't have the skills to maintain the training that we provide, the training will slowly (or quickly) unravel and return to the way things were. I have set of rules and a strong structure that my dogs understand and live within. When I take a dog into my home for training, they quickly learn those rules as they are not only enforced by me, but my personal dogs "police" the activity as well. A dog is a pack animal, who quickly finds a place within the pack structure and adheres to the new set of rules. I train the dog to be obedient within my household, my boundaries, and with an entirely new set of rules. The problem comes when the leash is handed back to the untrained owners... The dog has a memory of the "old" house rules and the owners have not learned any new skills to help them maintain training, problem solve when the dog starts to question the things he learned, or even how to ask the dog to do the things he has been trained to do. What happens? The dog reverts to old behaviors. I am a firm believer that owners need to be involved in all training. Most training isn't for dogs- it's for people! We need to learn how to use our body language, timing, equipment, household routines, and family members to reinforce positive behaviors from our dogs. The only way to learn those skills is to practice! Q: Why does my dog pant so much, even when it's not hot outside? A: Dogs pant for a variety of reasons- one being that it's their primary way to cool their bodies if they are too hot. Dogs lack sweat glands over most of their bodies, so panting is their bodies way of cooling down. If it's not hot outside, dogs may pant as a pain or stress response. Does your dog have any signs or symptoms of pain or health problem? Panting with nervousness, sensitivity over parts of their body? It may be time to call your veterinarian for an exam. A third reason a dog pants is when it is under stress. This isn't always a negative thing and some stress can be a good for your dog! Have you noticed your dog panting when it is learning something new, playing or having fun with other dogs, approaching something new or going to a new place, riding in the car??? Panting can be a stress release and self soothing behavior. It is ok, and with time, continued exposure to the new situation or puzzle, and reassurance, your dog will learn something new! Q: Is putting my puppy in the bathroom a good way to potty train him? A: Dogs have a denning instinct, which is something that we can use to our advantage when housebreaking a puppy. Dogs don't want to soil their "den" or potty where they sleep. We can use this instinct to help them learn a schedule, a surface and location where it is OK to go potty, and to give them a safe place to sleep when we are away or can't supervise them. This is why crate training is the best way to potty train a puppy. The most important thing to consider when crate training is the size of the crate. It needs to be large enough that your dog can stand, sit, turn around, and lie down comfortably... It needs to be small enough that the dog can not potty on one side, and sleep on the other! A crate allows for consistency- the most important component of potty training. If you close a dog into a bathroom, you will not only see accidents, but your dog is learning that it's OK to potty on the floor, and is also left to experiment with destructive behavior with no supervision. Prevention of accidents is the best and easiest way to potty train your dog! Q: Why does my dog growl when I reach for his food dish, toys, and bones? A: A dog who growls, snaps, or guards food, toys, treats, or anything that they consider valuable is "resource guarding." Resource guarding can happen with people, objects, food, or even a position on furniture in your home and may be directed at humans, other animals, or both. The behavior can be recognized as they are approached when they have or are near the thing that they see as valuable. Example: When your dog is eating and you reach for or approach the dish, they will either speed up or stop eating, freeze, then possibly growl or snap at you. What can you do??? Your dog needs to understand that it has no ownership of anything in your home. A position on the furniture, food dishes, toys, treats and bones all belong to YOU! Your job is to help your dog understand that you own the objects and allow them to play with them, eat from the dish, or sleep in a position on your couch. How do you accomplish that?? 1) Start right away! Put your dog on a feeding schedule, pick up the bowl between feeding times. Teach your dog to sit and wait, then give an "OK" command and allow them to eat their food. Hand feeding is another positive way to prevent your dog from claiming ownership, and also works to increase their bond with you. 2) It is good to remind your dog that it's OK for you to be near their dishes and toys... Hold the dish while they eat, hold their bone for them while they chew on it, take the bone and put it away when they are done with it. Pet them and touch them all over their body while they are engaged in whatever activity they are doing.. Chewing, eating, etc. If the dog growls or stops chewing or threatens you, remove the object, pet them and reassure them, then return the object- BUT REMAIN IN CONTROL OF IT! 3) Your dog needs to move out of your way if you want to sit on your furniture. They are not allowed to claim a space as "theirs." It is your couch, they are allowed to sit on it when and where we allow it. 4) If your dog is resource guarding YOU from another human or pet, you need to immediately move the dog off of your lap or away from you. Own your space. Praise your dog when the behavior stops, invite them back after the other pet or person has approached, and praise them. Dogs are pack animals, and ownership = leader of the pack. Since our dogs have replaced their canine families with our human families, it is our job to communicate to them in ways that they understand. Control of resources is done by the pack leader, and that's you! Q: Why does my dog eat poop?!?!? A: Dogs eat feces for many reasons... Regardless- It's GROSS! It's a habit, and is often a learned behavior. It is often seen in dogs who come from kennel situations, rises out of boredom, or can be a result of anxiety. It may signal a deficiency in diet, or may be sign of hunger or the dog not feeling satisfied after a meal. Dogs who came from cramped kennel situations may have started eating feces in an effort to keep a clean environment, or out of boredom. It may start out of fear, if a dog is harshly reprimanded for defecating in the house or in his crate may start to eat his feces in an effort to hide the evidence. It's often learned by watching other dogs. If you have one dog who eats feces and get another dog, there is a good chance your second dog may pick up the behavior as well. This is one of the hardest habits to break... Speak with your veterinarian to ensure your dog has a balanced diet. There are food additives that can make feces "taste bad," which seems odd, but these additives rarely work. One of the best ways to stop the behavior is to prevent it. Consistently clean up your yard, and watch your dog to prevent them from grabbing a bite before you can get to the pile. With time, the behavior will often lessen with consistent prevention. If your dog defecates in a crate and eats it, you need to work on a consistent house training schedule, praising your dog for going outdoors and ignoring mistakes. When we get angry for accidents in the kennel or house, the dog may resort to eating feces to prevent getting in trouble. Prevention is key! Q: Why is my dog peeing on everything in my house?! He is peeing on chair legs, walls, corners of my bed, my potted plants... Help! A: This behavior is called marking. It's most often seen in male dogs, but can show up with female dogs as well. In the wild, it's how a dog would claim territory- but in your home, it can be a considerable problem. 1) Make sure that your dog is spayed or neutered! This behavior is much more prominent in unaltered pets, as hormones drive the behavior. 2) Prevention: The easiest way to stop a behavior is to prevent it. When your dog is not supervised, they need to be crated if they can not be trusted in your home. Potty training with a crate is the best way to prevent this habitual behavior from developing as a puppy. 3) Obedience training: This will help in two ways- First, it will teach your dog how to see you as a leader in your home. Marking can be a sign of "ownership." Second, it will teach you to identify cues signaling that the dog is thinking of marking. The only way to correct the behavior itself is to actually catch them in the act. Training with a professional will help you learn to read your dogs body language, and communicate to them appropriately that the behavior is not allowed and reinforcing good choices with reward. associate the correction with you- causing further problems. 4) Proper cleaning of the marked areas is most important. You can't just sponge up the drops of urine and call it good! They mark to leave a scent, so that scent is still there. Dogs want to mark where other dogs have marked. The area needs to be cleaned with soap and water. If carpeted, you may consider an enzymatic cleaner to neutralize any scent left behind. Q: Should I brush my dogs teeth? How do I do it? A: Dental hygiene is important! Some dogs are aggressive chewers and are able to clean their teeth that way. Most dogs need a little help, especially preventing tartar and gum disease to the back molars, canines, and little tiny front incisors. If you want to prevent extra veterinary expense, sedation, and professional cleaning prematurely, brushing is the best way to do it. -Make it into a routine, and reward them at the end. If it becomes something that happens regularly, it will be no big deal! - Get the right tools for the job. You need a pet friendly enzymatic toothpaste (my dogs prefer the chicken flavored paste) and a soft toothbrush. 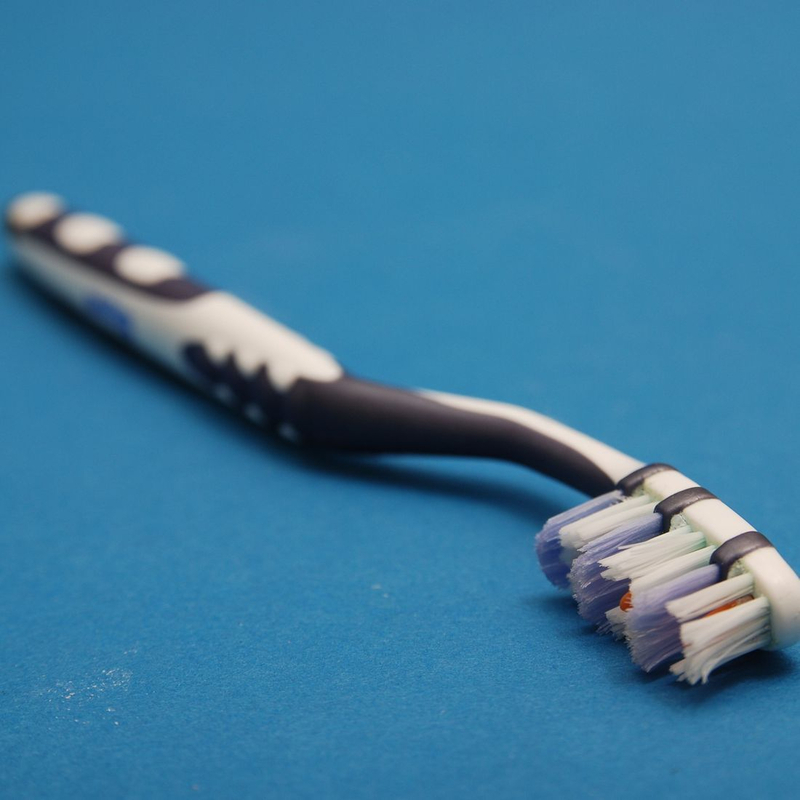 You can use a human toothbrush but if your dog is small, consider an infant toothbrush. They also sell Canine toothbrushes with long handles and a large/ small end for reaching the rear teeth on all sizes of mouths, finger brushes, etc. Use what works best for you! If you are unable to get a toothbrush, you could use a washcloth over your finger, but it won't be as thorough. -Place some paste on your finger and let your dog lick it off. Let them get a taste for the toothpaste before brushing. Then place a small amount of paste on the brush and let them lick it from the brush. This lets them feel the brush on their tongue. -Hold the mouth closed and slide the brush under the lips, along the side, to the back of the jaw, then start moving the brush back and forth along the teeth, while holding the dogs mouth closed. Repeat on the other side, then do the fronts. Brushing the outer surface is the most important as dogs usually do a good job cleaning the inner surfaces with their tongues. 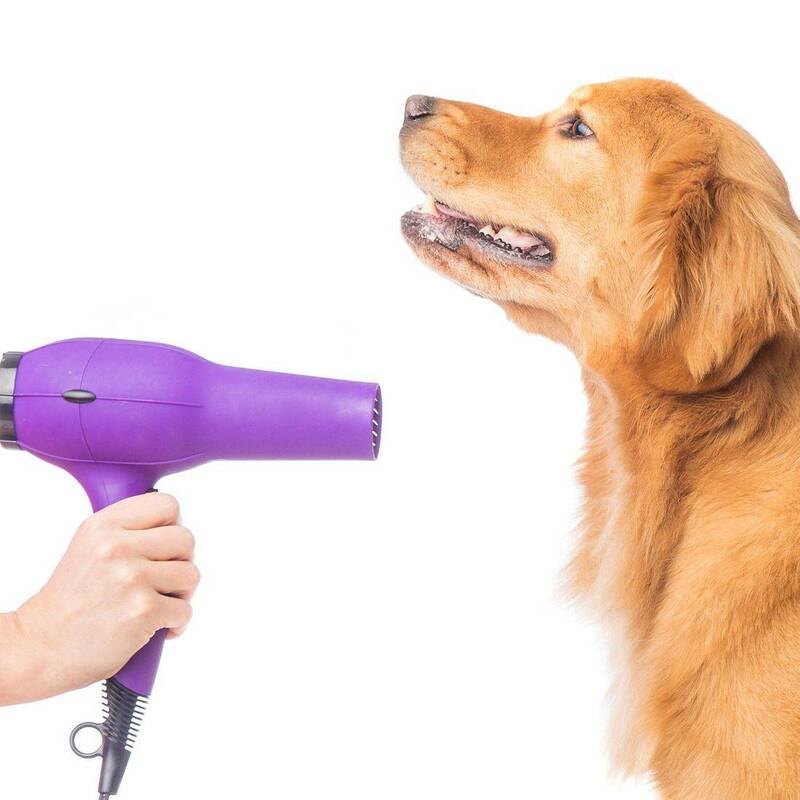 -After, let the dog lick a little more toothpaste from your finger and even some clean water off the brush to leave the session on a positive note, then offer a treat. That way, they start to associate the toothpaste and brush with a good taste and a cookie :). -The more regularly you brush teeth, the easier it becomes. Many people incorporate it into a daily routine. I recommend doing it at least weekly. Q: Microchips- Should my dog have one??? A: YES!!! A microchip is a safe, tiny device- the size of a grain of rice- that is injected under your dog's skin. 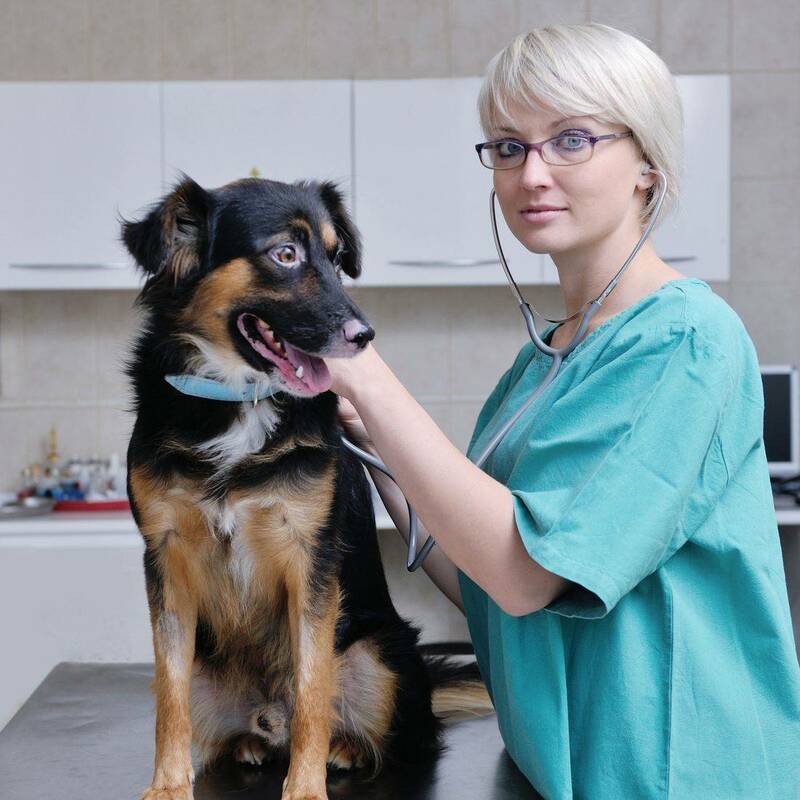 When scanned by a special computerized reader, it will give the veterinarian or animal shelter a number that has been registered to the owner at the time the microchip was implanted. The information is stored in a database and can be updated and transferred as dogs move with their owners, or are transferred to new homes. ~Your dog can still be identified when not a wearing a collar. ~The whole process is very affordable- and often free through many shelters and rescue organizations. Good breeders often offer microchips for their puppies before placing them in homes. ~It is simple to keep the information up to date so that your pet can always find his way home. Should I get a Puppy??? A: The decision to get a puppy is a big one. Think of an infant... Frequent feeding, frequent toileting and consistency to prevent mistakes, chewing and teething, training through an undeveloped attention span, the cost of all puppy shots, spay/ neutering, and the unknown... Even though you think you have picked the perfect puppy, you don't know exactly what that dog will grow up to be... Personality, physical traits, health/ developmental problems, etc. all show up later. There is always risk involved. If you aren't ready for that commitment, it may be a good idea to consider looking at a young adult or even an older dog. You can find any breed at any age needing a home. The beauty of starting with an older dog is that you can see what you are starting with. The dog may need training or some TLC, but you will be starting with a dog who has the ability to focus on training time. Many adult dogs have already been spayed/ neutered and have developed a stronger immune system due to vaccinations and exposure so you can rest a little easier while exposing your dog to new environments. I recommend meeting with a trainer when adopting a new dog- Especially if introducing children, other animals, or special situations. This can help reduce the number of pets being returned after adoption. Getting a positive start to training and getting a good routine from the start will set your family up for success- Whether bringing home an adult dog or a brand new puppy! What makes Paws In Hand different? Q: How is your service dog training and placement program different from other service dog programs? What makes it unique, and why do you not offer services for free? A: Paws In Hand is different at every level from most service dog organizations, and this comes from years of experience... Seeing first hand what works, what doesn't, and being willing to change in order to make the process more efficient and successful for my clients. Many schools have a breeding or dog selection program that is generalized. All dogs go through a similar training program, learn a set of commands and tasks depending on their intended purpose, and clients are then selected out of a pool of applications in an effort to make a successful match for the dog that they have already trained. The process doesn't become more customized until during, or after placement with the individual. 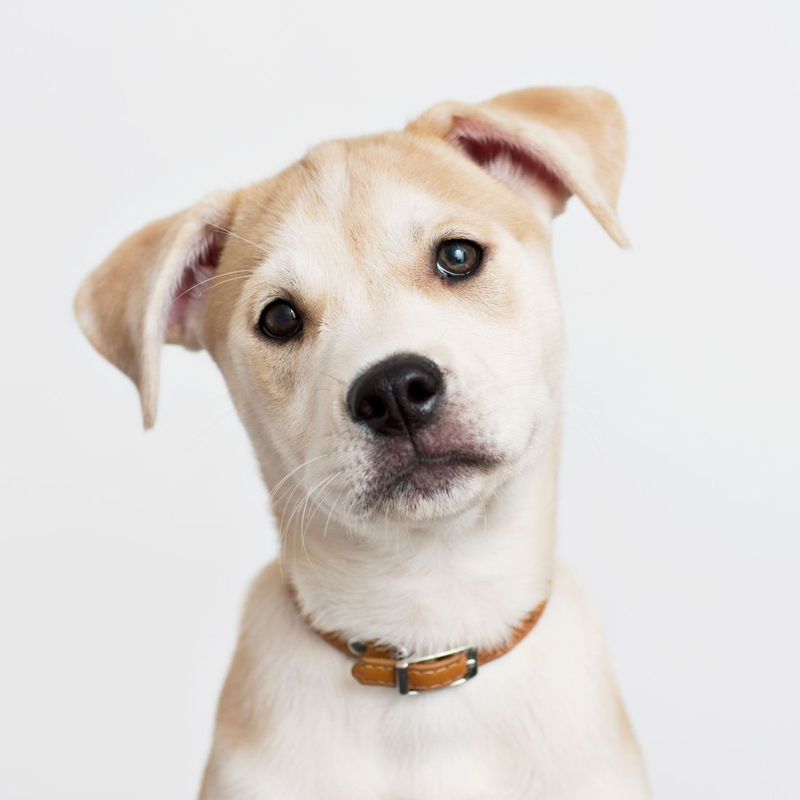 There are waiting lists, as dogs are trained and placed in groups, often having to be raised by puppy raisers, then trained with their litter mates to prepare for placement. They can only serve a certain number of clients, as this is all they have dogs available for. What do we do different? No dog is selected for training until after we have met and developed a working relationship with our clients. Personality, lifestyle, hobbies and interests, life goals, budget, and needs are all known well in advance of searching for a dog to partner with them. We then can begin searching for the perfect match, knowing from the beginning what we are looking for in a prospect. We can evaluate natural abilities and instinct, screen for orthopedic problems, and select a dog who naturally wants to do the work they are being selected for. This helps to make training easy and fun for our trainers and the dogs- we get to show them how to use their natural talents! The next difference is in our training. Because we have a close relationship with our clients, we allow them to be a part of our process... They even get to name their dog once it is selected! Visitations are scheduled at the right time in training, allowing for smoother transitions during placements. We train each dog specifically for the person they are going to work with. If someone needs a specific item retrieved, we work with that specific item. Bracing, balance support, wheelchair pulling, tugging tasks... All are taught as needed based on what our client needs. This streamlines the training as we don't waste time teaching skills the dog will never use. Last- we do not provide services for free. Over the years, wehave become firm believers that clients need to be committed to the dog, placement process and training, just as we are. Part of that is being willing to fundraise or to be committed to helping provide funding for the dog. We do not charge for every service that is provided, and make training as affordable as possible, but there are costs involved. Adoption fees, veterinary expenses, supplies, quality nutrition, travel and training all cost money and take a lot of time. Most service dogs will have over 1000 hours of training by the time of their placement! On average, it is estimated that every service dog would cost $10,000-$25,000 if every hour was accounted for. We do not charge those prices, but most people are surprised at the time and resources that go into training a service dog. We love our clients, and love our dogs! If you or someone you know could benefit from a service animal, don't hesitate to contact us!! Can any dog be a service dog?? This is a GREAT blog post written by someone who has a firm understanding of what a service dog is. It's sad, but true. We can evaluate over 200 dogs and are lucky to find ONE that has the drive, potential, personality, and ability to work as an assistance dog. It takes a very special dog to complete a training program- and they are hard to find. I have encountered an organization who works with Veterans that will certify ANY pet dog that the veteran has as a PTSD dog, regardless of age, breed, temperament or ability. They say that if there is a bond, then the Veteran can work with that dog. This is wrong and unethical on SO many levels, and it sets our veterans up for failure. After speaking with the founder, we refused to work with their organization on grounds of ethics. We CARE about our clients, public safety and welfare, and the dogs who we work with. No dog should be forced into a job it wasn't meant to do... Honesty and Integrity is something that we take very seriously. We firmly believe that our clients deserve to be set up for success at any level! Isn't training with a collar cruel?!?! 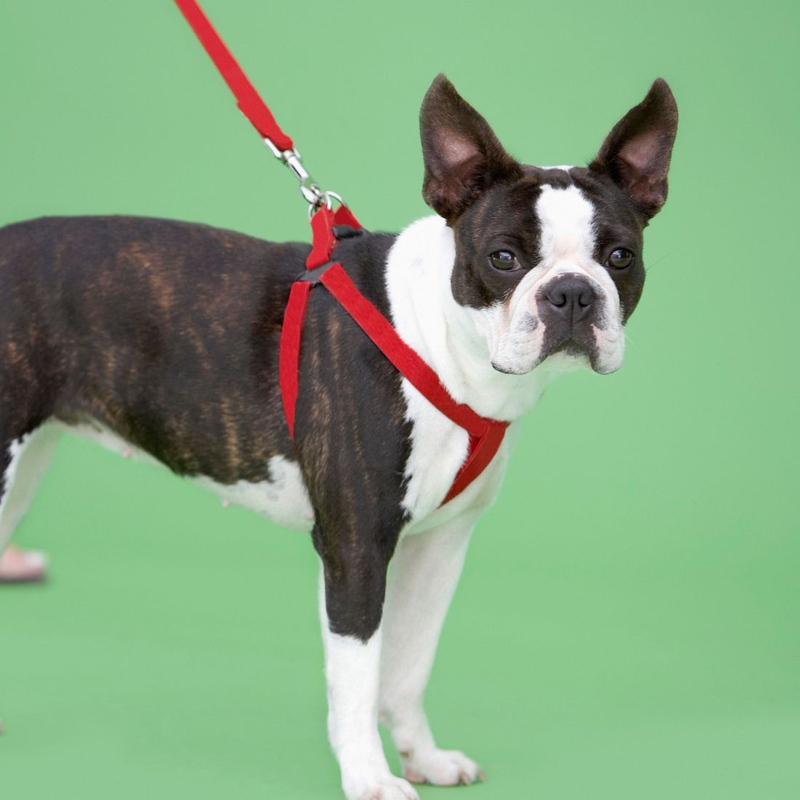 Q: Why don't you train a dog not to pull using a "no-pull" harness or gentle leader?? Those training collars look terrible! A: We don't use a "gentle leader" or head collar on most dogs for several reasons. First, we must understand how our dog is built to understand how these training devices work. 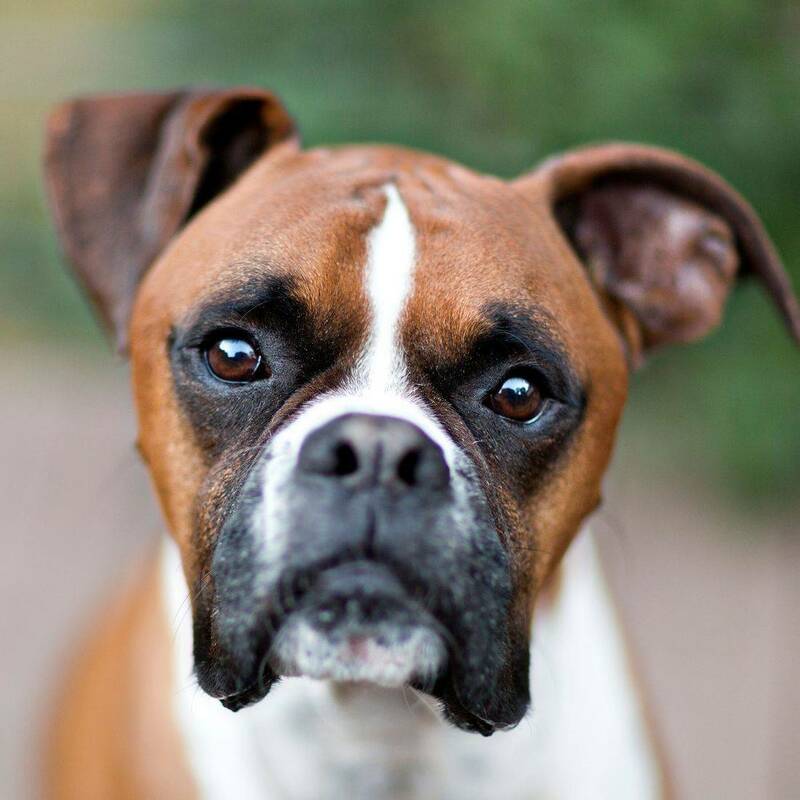 Your dog has very sensitive nerves that run across the top of the nose and along the neck directly behind the ears. When you place a "Halti," "Gentle Leader," or any other brand of head collar or no pull device to those areas- IT HURTS! That's why you are instructed to only "gently guide" your dog into position, and to never pull sharply on the leash. You are creating intense pain with small movements, therefore gaining control of your dog. You don't create a situation where your dog is choosing you, but a situation where your dog is avoiding pain. There is no true loose leash method that works with these devices, and it always requires you to micromanage your dog. I can't tell you how many clients call me, I arrive while their dog is not in their head collar, the dog is wild- and the client says "hold on! We have to get her head collar on before she will listen and stop jumping." The dog never learns to make positive choices, associates all correction with the handler and equipment, and never Improves.... Unless they are used correctly. No-Pull Harnesses are the exact opposite of what they say. When I want to teach a dog to pull, I put it in a harness and apply pressure! So when you spend money on clever harnesses that have big claims of helping your dog to not pull- realize that they are probably more designed to give to leverage to be able to hold on to them while they continue to pull harder. When you put gentle pressure on a harness, you create an situation where your dog never has to look at you. Why would he?! He can feel where you are at through the leash and harness! Harnesses are great for dogs who have already learned to walk politely, need no guidance, are good with other dogs, and overall- reliably trained companions. But they are not necessarily designed to stop the actual pulling- unless used correctly. Keep in mind that all of these tools can be effective in the right situations, under the guidance of a good trainer, but most dogs and people need help understanding fit, timing, body language, and when to praise the correct behaviors to make them work effectively. It's important to realize that any tool, collar, harness or leash can be made into something cruel in the wrong hands... If used correctly, something like a prong collar is much kinder than a "gentle leader" in the wrong hands. Don't judge a tool until you understand the mechanics of how it works, the training methods behind it, and the response from your dog. Propaganda is one thing... Seeing dogs happy, healthy, well adjusted, and living as positive members of their families is something much more important. What breed is right for me??? Q: What breed of dog should I get for...?? A: This is the worst, and most loaded question there is. This one question is responsible for 90% of the unsuccessful matches between humans and their dogs-pets and service dogs alike. We need to step away from this generalized question- and change our thinking to, "What DOG should I get???" It doesn't matter if you have your heart set on a certain breed, color, size, shape, work through a breeder, rescue or shelter. You need to focus on each dog as an individual. -Do I want a large or small dog? -If I'm choosing a dog who isn't altered, spays tend to cost more than neuters and be more involved. Is that ok?? -How much grooming do I have time or money for? -Does this dog have any special dietary or health requirements? -What do I want to use the dog for? Can it do that job easily?? MUCH harder to train a dog to retrieve if it is scared to put objects in its mouth. -Am I going to be able to train this dog completely with the skills that I have, or will I need a trainer? -Does this dog have fear or anxiety issues that will hinder my training? -Am I willing or able to commit to a potty training schedule required for a puppy?? Maybe an adult would be a better choice if sleep is an issue. -Is this dog willing to focus on people or is it out checking out the yard, forgetting I exist? -Is it good with kids if I have kids?? -Do I have cats, chickens, other dogs, etc??? Will this dog be trainable to ignore those distractions?? -If I'm Looking for a mobility SD, is it old enough to get preliminary x-rays to ensure physical soundness? If not, I may waste training time and resources on a dog who cannot perform its job. -Will this dog be suitable for public access? Is there breed legislation where I live or travel? The point is this- whether you are sitting with a breeder evaluating a litter of puppies, or walking through a shelter evaluating 50 dogs- look beyond the breed! Have an idea of the size, temperament, type of drive, and your specific needs. Be picky! Pay attention as you walk around... You may find yourself surprised at the dog who jumps out at you, fulfills all of your requirements, and is meant to be your next family member. Be willing to look beyond the Wikipedia version of your breed and pay attention to what the dogs themselves are tying to show you... Great dogs come in all shapes and sizes. Treadmill training!!! Why? Because if a dog is introduced slowly, they soon discover it's a lot of fun! Treadmills are a great way for owners to exercise their dogs when it's too hot or cold to be out in the elements! Prevent them burning or freezing their paws! It's also a great way to increase the amount of exercise your dog gets, while living in an environment that might not allow for it. Is your dog needing to burn a few extra calories or increase his level of fitness? A Treadmill could be the answer! Contact us to learn how to make this a part of your dogs daily routine! Why do you travel so far to find a dogs when there are so many needing to be adopted near you?? We travel in order to ensure that we are able to provide the BEST dog for our client that we can provide... This means that we start local, in hope that we find the perfect match in our backyard, supporting our local rescues and organizations. When we are unable to find that match, we do whatever we have to do, and travel wherever we need to go to find the right dog. We have searched for dogs throughout the USA- pulling dogs everywhere from California to Alabama, and everywhere in between..... Meeting our clients needs is our number ONE priority, and by ensuring that we choose a quality dog, who wants nothing more than a job, companionship, and love, we are able to do what's right for not only our clients, but for our dogs as well. Our standard are very high! Though we rescue the dogs coming into our program, we will never sacrifice the quality of dog that we place with a client. Our clients are proud to have one of our dogs at the end of their leash! That's why we do what we do... That's why we travel. The dogs we find for our program are outstanding- but they are diamonds in the rough. Their talents have been misconstrued as destructive/ hyper/aggressive... They land in a bad situation not because they are poor quality or bad dogs- but because they were purchased, often for thousands of dollars, by people who were uneducated or had no time to deal with the caliber of dog that they bought. We use shelter dogs- but we search long and hard to find the best of the best... And most of the time, those superior dogs are the unadoptables... The troublemakers, escape artists, and strays who have been adopted for their beauty and returned to the shelter time and again... Those dogs are the survivors who turn into the stars of our program. Q: I've taught my dog to sit, but she isn't reliable and refuses to lay down no matter how hard I try. We've tried pushing her down, pulling on her feet, giving her a treat once she's laying down... how can we teach her to lay down and sit without having to push her into it?? A: Until we know 100% that a dog understands a command, we cannot hold them accountable for it. Understanding means that they will perform without treats or force, and follow a hand signal and/or a verbal cue reliably. We encourage training the beginning stages of commands through patterns and games. Dogs learn through repetition and patterns, so our goal in making learning fun, is to create a situation for them that makes it easy to learn. For Sit and Down, we create a pattern and a game that also incorporates Stand as a third command. Think of a triangle or a circle... That's the pattern. Instead of just teaching your dog to Sit, teach them Sit- Down- and Stand all together. Start with treats and luring, using no words. Lure your dog into a Sit position by raising your hand with a treat over their head, encouraging their nose to come up and back. This will encourage their rear end to go down into a Sit. Once there, your hand and treat go down and slightly forward to lure them into a Down position. BE PATIENT!! Wait until heir elbows are on the floor before treating! Third, take your hand up and forward to lure them to a stand position. Repeat these hand movements over and over again until they learn the pattern... SIT/ DOWN/STAND. Next, add words/ commands AFTER they are in the positions with praise. So lure, the dog sits, and follow with "Good SIT," lure to down, then say "Good DOWN," after the dog is in that position. Continue repeating through the three commands- SIT/ DOWN/STAND. Your dog learns the commands through the pattern and word association, learns hand signals through the luring, and learns the positions all at the same time. Once your dog has mastered the pattern and begins to understand the words- it's time to change the pattern!!! Only after your dog can do all three positions with a varied pattern, not repeating a command and only occasional treating is he/she ready to be held accountable for the positions. It's then time to start incorporating the commands Sit- Down- and Stand into your other obedience training, leash work, and then start asking them to maintain positions (wait and stay). Make training easy, fun and rewarding to both you and your dog! Try teaching through patterns... It will save you time, frustration, and your dog will have fun learning to problem solve- essentially, you help them learn to love learning.